Is anyone running Nitto Terra Grapplers? 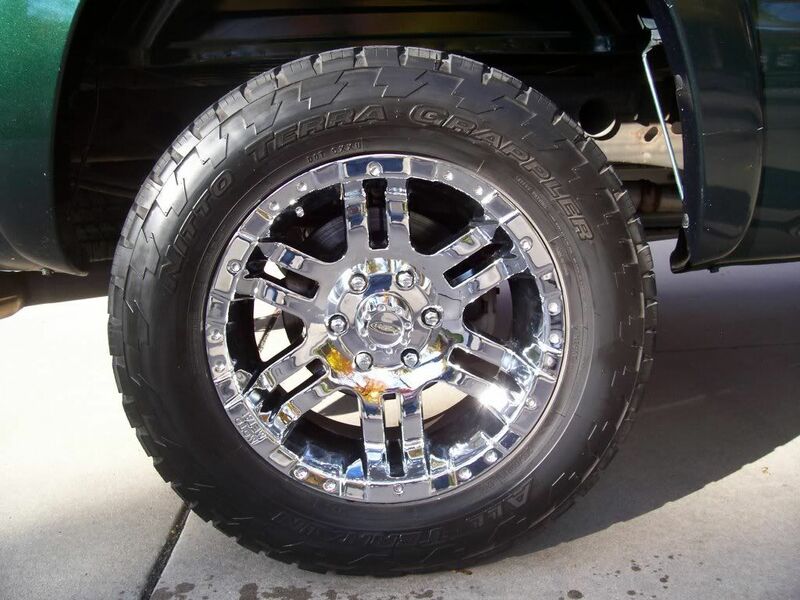 I am trying to decide between these and BFGoodrich AT''s. I had the BFGs on my old ford but was wondering what Terra Grapplers do as far as road noise, grip, and looks? PICS are good and advice is well appreciated! Moved them over to the 2004 Crew Cab and got about 58K out of them. Thanks. Its mostly asphalt and gravel. Not much mud here in Texas lately with the drought. I''ll probably go with the Nitto''s mostly for cost and quietness then. Thanks for the Help! 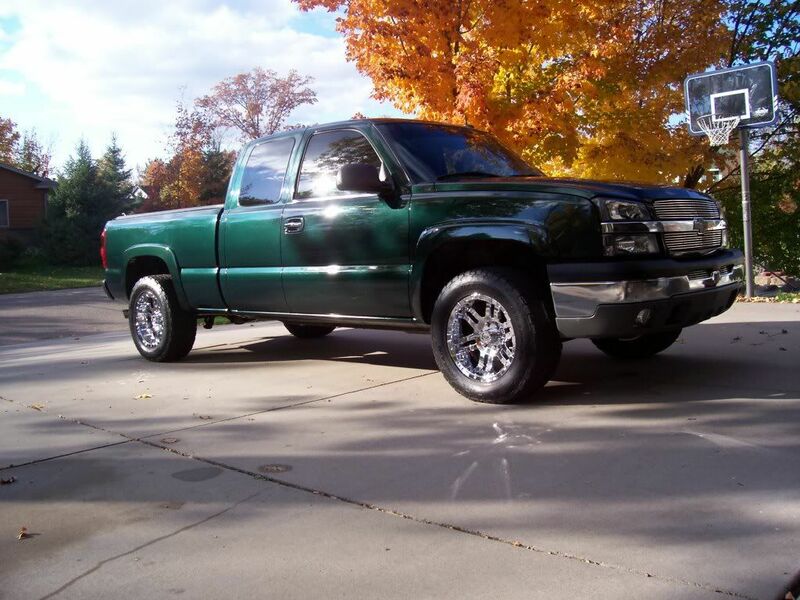 Im running a 2wd chevy crew cab 5.3L. Do you think after I put a 2" level kit on the front, that I could run a setup like yours? I was looking at some 16 *or* 17" rims and then 32" terras? I think they''ll fit? Oh and that Chevy you got there looks bad ! I love the tire/wheel combo! ive had both and the terras ride a little better on road but as far as off road the bfg''s go waayyyy better. i wouldnt own another set. i got stuck in a friends wet yard withv them on! My Nittos. Only run in the summer time. About 20,000 miles on them and dont show much wear at all. Well after what rebelpride said I''m back to square one. Have you gotten stuck in wet grass before Kyle *or* Juan? I do have to go through fields and stuff around the ranch, and if its rained im not looking to get stuck. Oh and Kyle, Im really loving your truck more and more! I have your exhaust videos from youtube on my phone now! haha I''ve been showing them to all my buddies, its a damn shame I cant get that type of exhaust here in Texas. Plus you got the terras on there and they look pretty badass! Thanks for the input once again guys. dont misunderstand me. it wasnt just wet grass there was wet grass with a little mud underneath and they just dug small ruts and wouldnt clean out and just spun. I looked into some Nitto''s when I had my 98, and the tire shop basically told me that if i want a show truck tire that does good on the road and looks like an all terrain, to get them. But if i wanted a tire that was going to actually be decent offroad to go with something else. I never ran them and ended up with an off brand (Durango Radial All Terrains) that did great. So, I don''t know personally, that''s just what the tire store told me about them. the new composition that bfg has come out with on their ko series is supposed to be better offroad, yet lower the mileage. i have noticed that many people (not all) will get nitto''s when it comes to a good looking tire with little desire to take it offroad. you tend to see them with the newer pickups with the really nice chrome rims and you can tell they are more for show than performance. if you want an offroad tire from nitto, go with the mud grapplers! never seen them offroad but with the nasty tread design they have i imagine they are awesome, and they look pretty good as well. just my opinion from experience. 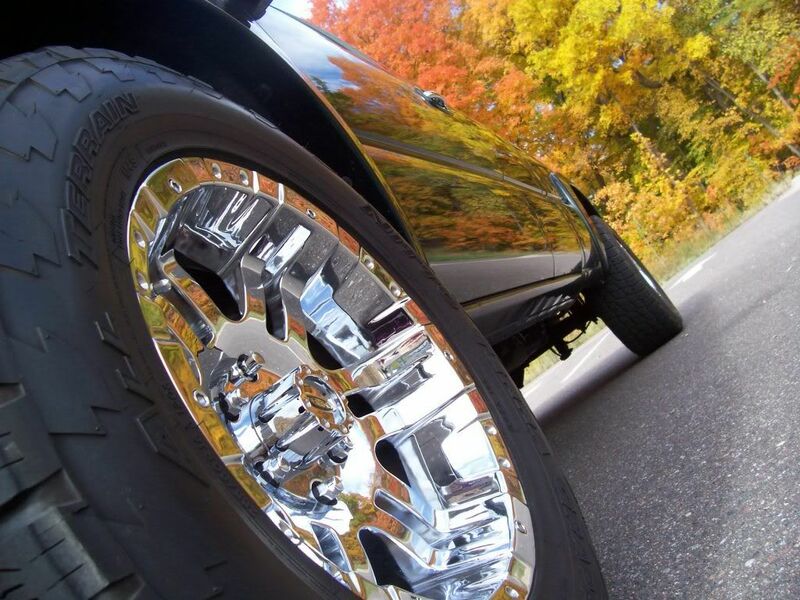 Forums : Tires & Wheels : Nitto Terras?